Liana Haroutouniani, Bryan Hymel, Erwin Schrott et al. The Royal Opera gives a live performance of Verdi's work filmed at London's Covent Garden. 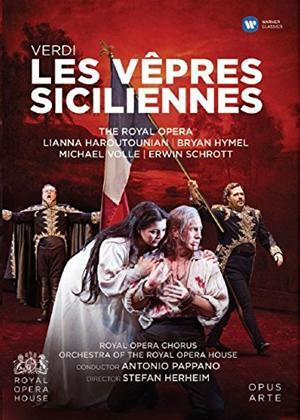 Antonio Pappano conducts the Royal Opera Orchestra and Chorus with the cast including Michael Volle, Erwin Schrott, Bryan Hymel and Marina Poplavskaya.